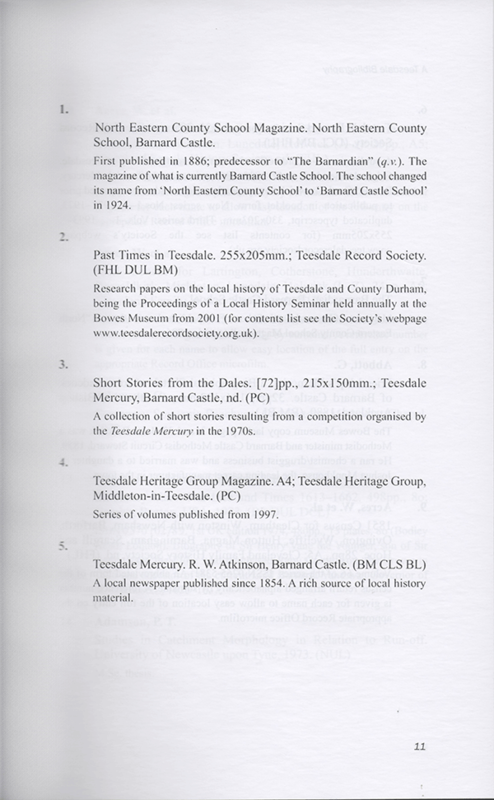 The Teesdale Record Society from time to time has been involved with the publication of books relavent to the history of teesdale. The Teesdale Record Society is a small organisation run by volunteers so please bear that in mind when waiting for a response. 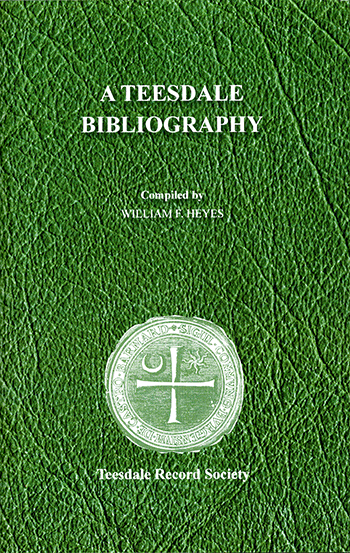 To coincide with the 75th anniversary of the Teedale Record Society William F. Heyes compiled and published The Teesdale Bibliography. 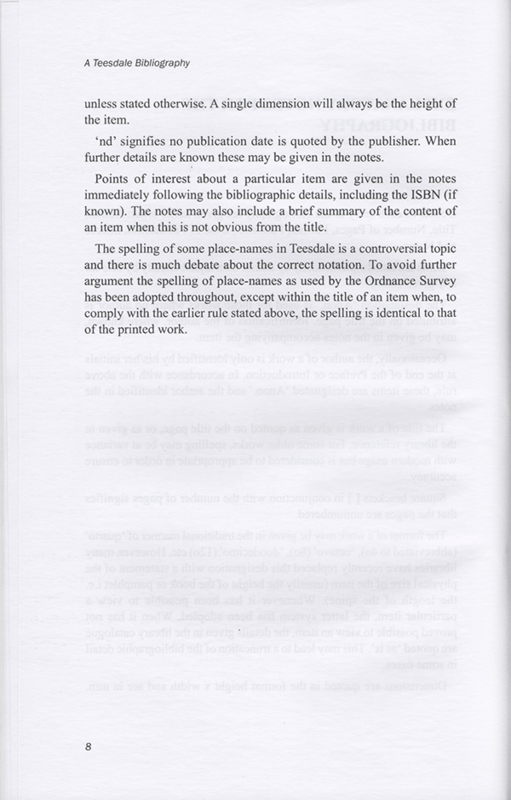 The aim of this was to place in one publication as wide as possible a collection of written resources on the history of the Teedsale area which would otherwise been un-catalogued. 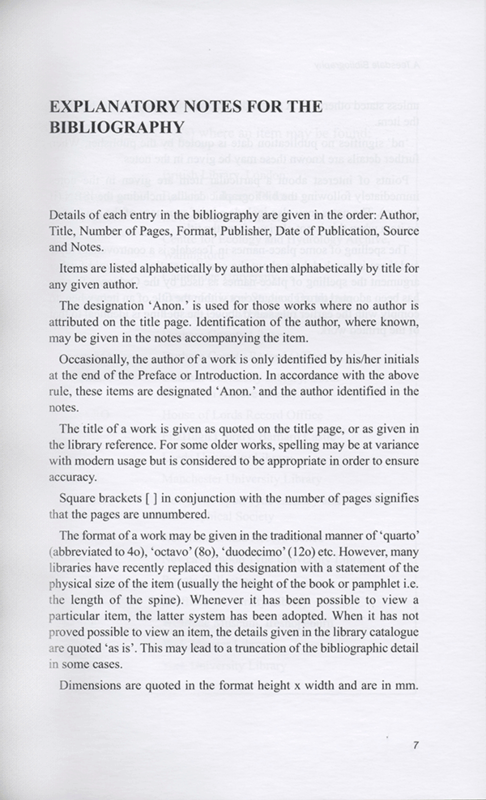 On line orders recieve a free searchable pdf copy of the book. 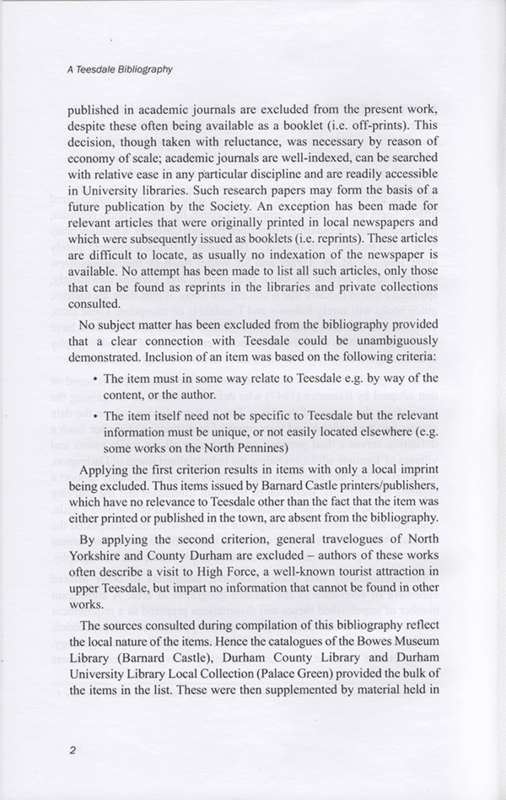 From 2001 to 2006 the society was involved in a series of seminars intitled "Past Times in Teesdale" and the paper presented were published as follows. 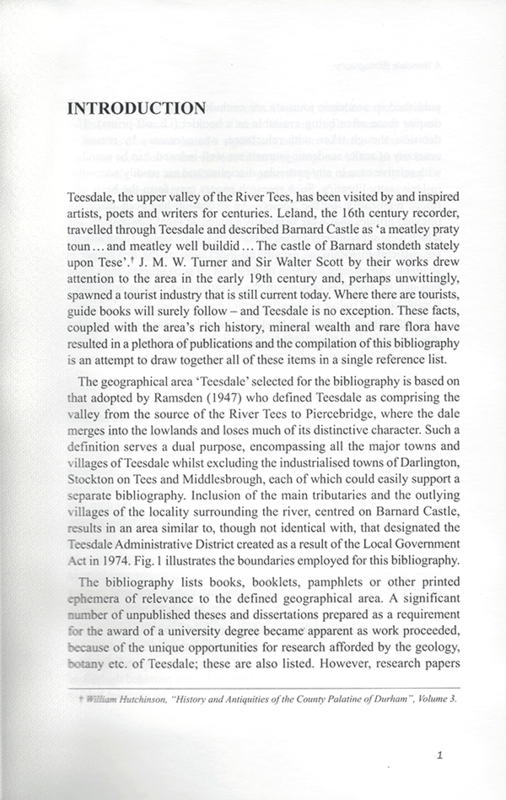 Teesdale's Ice Age Legacy; Changing Perpections of South Durham in the Roman Period; The North the East: Connections and Sources 1650-1850; HarryClasper and the Nineteenth Century Rowing heroes of the River Tyne; Reflections on the history of colonial slavery and its North-East connections. The Northumberland and Durham Rock Art Project 2004 to 2007; Beyond the Fields: the Common Moorlands of the North Pennines, 1400 -1700; Porgy, Bess and Politics in the North riding 1580 - 1640; Seventh Century Architecture in Teesdale and Weardale; Archaeological Examples of Improved Cattle Bones: Bigger is Better v. Small is Beautiful. St. Cuthbert's Journey - The Stuff of Legend or the Victim of Unrecorded Fact; Medieval Chests; The Attwood Brothers; Industrial Railways; 'Tis Only Brunt Stuff, A Tale of Rediscovery and (Possibly) Wealth - Charles Attwood and the Weardale Iron Company. Romano-British Settlement in the Durham Dales; Cromwellian Durham; The Hearth-Passage Farmhouse in the NE of England; "A Story I'll Tell Ye as True as me Life" - Traditional Song and Industrial History and Archaeology in the North of England. 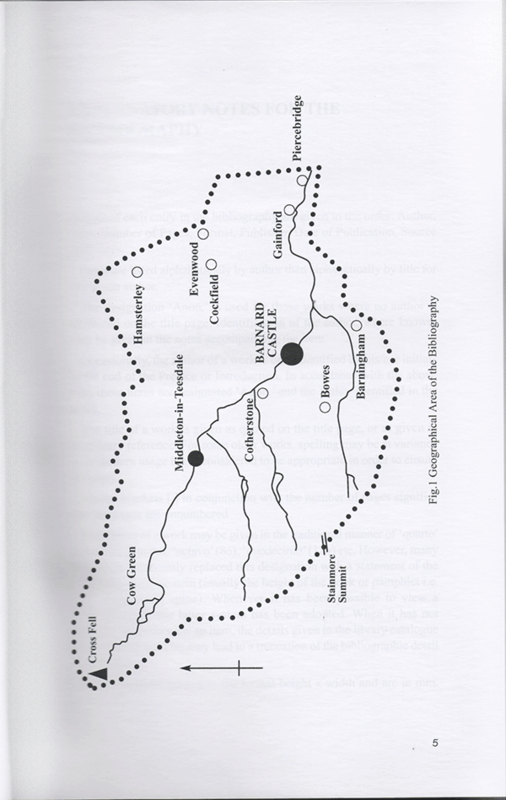 Springs, Woods and Transhumance; The North Eastern Boroughs in the Middle Ages; Il Travatore of Teeside - The Bowes Inheritance Dispute and Its Consequences 1569-1629; Thomas Sopwith F.R.S. ; The Bradford Brothers. 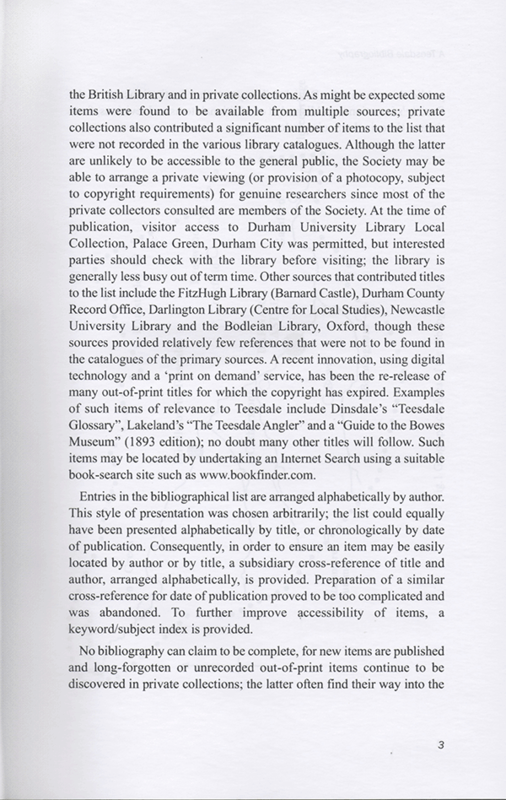 Antiquarian Research & Prehistoric Archaeology in the North Pennines; The Charcoal Industry of Upper Teesdale; Personal Historical Reflections on Becoming the 87th Successor of Cuthbert, Bishop of Lindisfarne 685-687 AD; The Pennine Forests of North Yorkshire and Durham in the Later Middle Ages; Strikes Without a Union - Labour relations in the Teesdale Lead Mines 1872-1892. 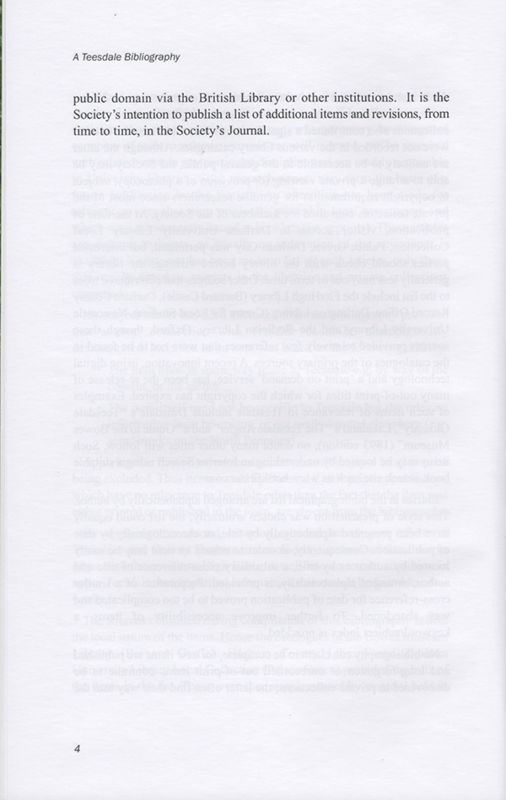 Prehistory: Some General Remarks; Vikings in Teesdale; Sir George Bowes and the Defence of the North; The Old Colonial System; The Health of Young Peiople in the North Pennine Lead Mining Industry in the 1840s. Roman Religious Dedications in the Bowes Museum; Tourism in Teesdale; Teesdale’s Grand Tourists; Charles Dicken’s Teesdale Legacy; Recording for Posterity.